Sorry to most of the rest of the country but here in SoCal, our growing season is pretty much never over. Here’s the raised bed tugboat man built for me the day before he left. 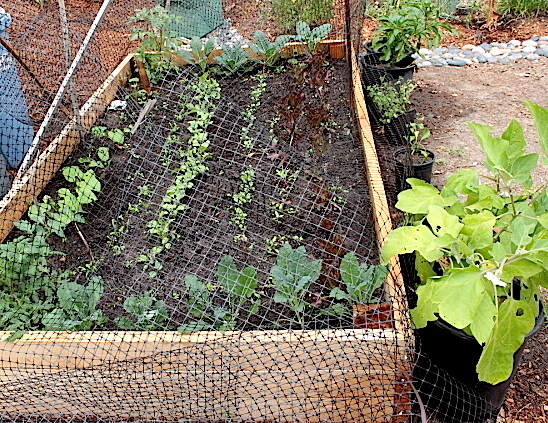 I planted tomatoes, kale, red leaf lettuce, beets, beans, and broccoli — I packed a LOT in a 4×8 space. He was supposed to build a second bed, but this is another one of those “such is the life of a tugboat wife” moments where I need to wait until he’s home again. 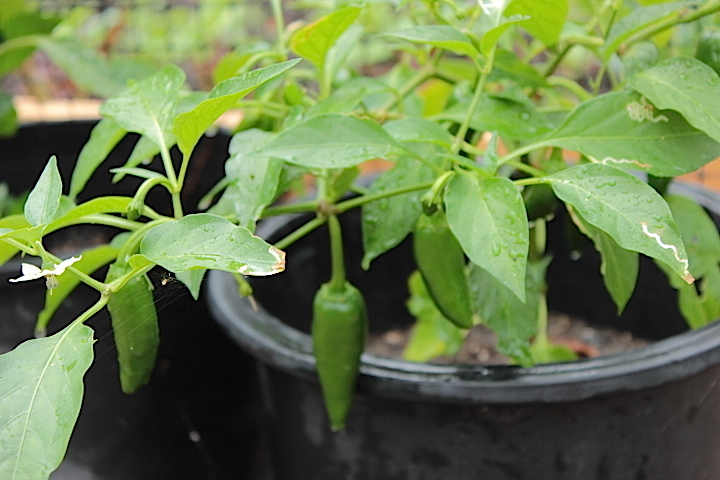 There wasn’t any room for the eggplants or these spicy jlapenos. I dug a fresh, new herb garden directly under our bedroom window. I’m hoping the lovely aromas will waft up and in. 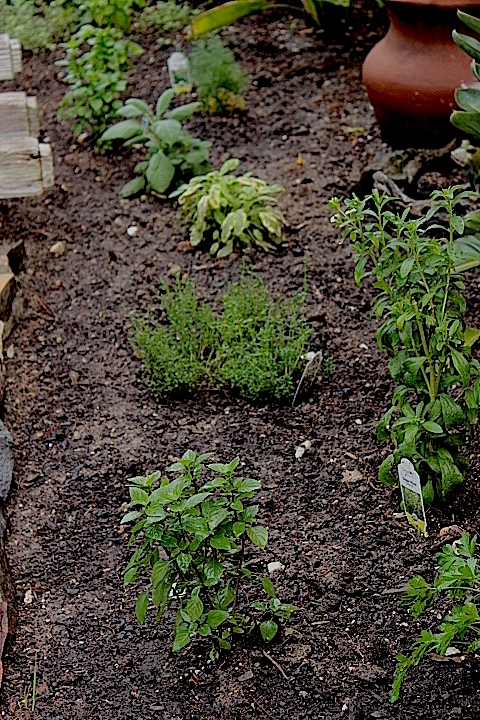 There’s a couple different kinds of sage; basil, thyme, oregano, parsley, lemon verbena, cilantro, and STEVIA. Did you know you could grow stevia? Neither did I, but when I saw a pot of organic stevia at Armstrong’s Nursery, I had to try it. The leaves are super sweet. I’ve seen stevia extract on the grocery shelf as a sugar substitute but I’ve never tried it. If growing your own calorie-free, natural sweetener sounds too good to be true, it’s time to get to know stevia. Native to Paraguay and other tropical areas of the Americas, the stevia plant (Stevia rebaudiana) produces leaves packed with super-sweet compounds that remain stable even after the leaves have been dried. Stevia leaves have been used to sweeten teas and beverages throughout South America for centuries. More recently, diabetics and dieters alike have turned to stevia to reduce their sugar intake because, unlike honey, maple syrup, agave or molasses, this natural sweetener has zero calories and is not metabolized by the body. Stevia is especially well-suited to sweetening drinks, fruits, salad dressings, yogurt and most creamy desserts. Stevia can substitute for some, but not all, of the sugar used when baking, because it does not provide all of the multiple functions that sugar does. Many commercial drink mixes and packaged sugar substitutes are sweetened with a derivative of stevia. This sweetening compound is called Rebaudioside A and is listed on labels as either Reb A or Rebiana. These are highly processed products developed by large food corporations. Most of the raw stevia used to produce these products is grown in China. These “natural sweeteners” have been stripped of many of the plant’s healthful properties. On the other hand, growing your own stevia to produce teas, extracts, and tinctures made from high-quality, whole-leaf stevia contains up to seven sweet compounds (glycosides) and an array of antioxidants. Growing stevia is easy in well-drained beds or large containers, and the leaves can be dried for winter use like any other herb. 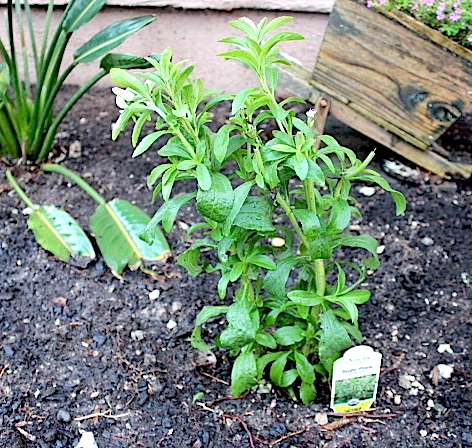 Stevia grows best in warm conditions similar to those preferred by basil. Last weekend I hosted a community garage sale for a local nonprofit (post to come) and someone brought a box of strawberry slips. 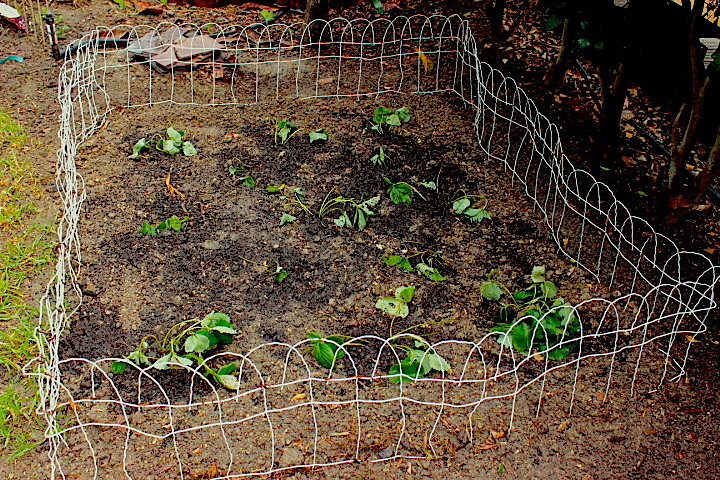 I took a few, quickly dug a bed, and put them in the ground. Since we hardly ever throw stuff away, I found a length of white wire fencing tucked away behind the greenhouse. There’s nothing better than organic strawberries! Yum, can’t wait! The weather is so crazy here, my apple and plum trees are blossoming again. 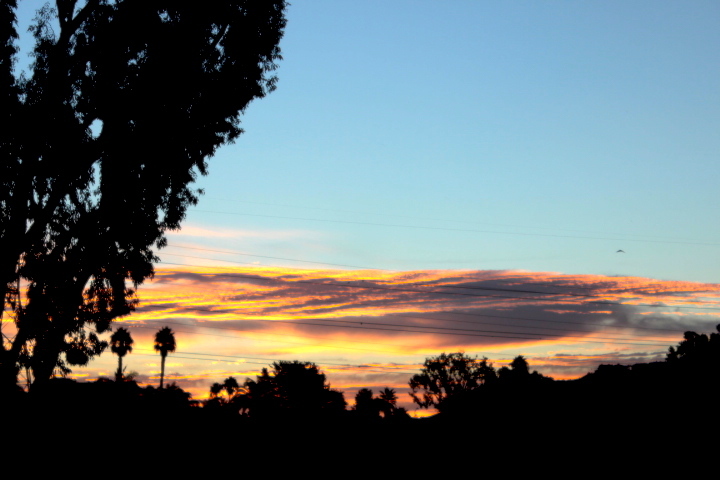 During the last few days SoCal broke tons of heat records along with a few drops of rain —and then nothing. But it was a beautiful sunrise over the lagoon, right?